Information on driving in New York State, including laws, and licensing. 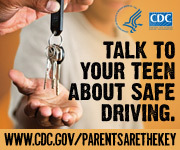 Parents of drivers under age 18 can register to be informed of convictions, license revocations and suspensions, and reported motor vehicle collisions. You should enter your zip code and choose the number of miles you are willing to travel. The course list/contact info. should pop up. The toll-free number is (877) 846-3299. Car fit - wwwcar-fit.org is an educational program sponsored by AAA, AARP, and AOTA that offers older adults the opportunity to check how well their personal vehicles fit them. To reduce your driver violation point total by a maximum of four points, and save a maximum of 10 percent on your automobile liability insurance premiums, take a DMV-approved accident prevention course. Please check with your Insurance Company regarding the discount that applies, and the Department of Motor Vehicles for information on reducing license points. A list of local course providers follows.